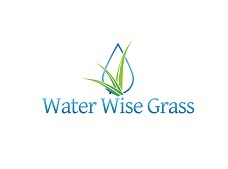 Water Wise Grass, an artificial grass installation company/contractor works with residential and commercial properties in and around the San Diego, CA area. We install synthetic lawns, natural stone and brick pavers, playground turf, backyard putting greens, athletic fields and artificial grass for dogs. Our fake grass will not only save you time and money but also lots of water! Our installation crews have more than 25 years experience, we are A+ members of the BBB and are also a HERO certified contractor offering energy efficient financing! If your in the market for a high quality artificial lawn, pet turf, pavers or synthetic putting green and would like to know the cost, give us a call today as we offer free quotes and have competitive prices!Our service areas include: Encinitas, Del Mar, Carlsbad, Rancho Santa Fe, La Jolla, El Cajon, Lakeside and Coronado, California.